Delivers superior scanning speed and a wide data capture range. Capture bar codes printed on traditional paper labels or displayed on the screen of a mobile phone, tablet or computer. Reads 13 mil 100% UPC bar codes from 1 in./2.54 cm to over 30 in./76.2 cm as well as high density codes and extended ranges for greater application flexibility. Maximizes durability and reduces downtime by removing the most common points of failure. Bar codes can be captured faster, and there is no need to pause during scans. Ensures reliable operation despite the inevitable everyday drops to help maximize uptime. 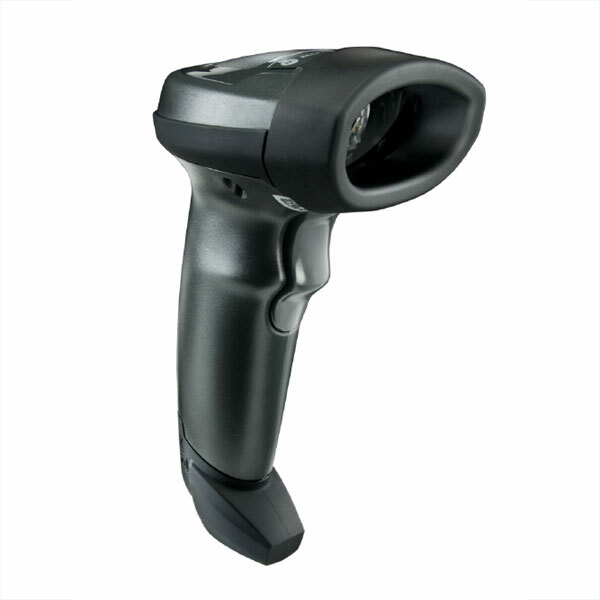 Gooseneck Intellistand enables presentation scanning and automatic switching between hands-free and handheld operation.